For some older adults, these infections, which are most common in the depths of winter, can be life-threatening. Published studies show that these good bacteria significantly reduce the risk of getting upper respiratory tract infections, including colds and flus. And in those who do get sick, these probiotics reduce the severity and duration of the illness. While anyone can benefit from additional immune support during cold and flu season, this potent probiotic defense is especially critical for elderly and immune-compromised individuals wishing to avoid potentially serious complications. The influenza virus can have a devastating impact on aging individuals. Most of those hospitalized for flu infections are older adults.1 For this group, lengthy hospital stays pose additional health risks. A very recent study found that the vaccine’s effectiveness decreases as the degree of frailty (as measured by the Frailty Index) increases.1 And while the vaccine works in 70%–90% of young adults, that number drops to 17%–53% in older adults. Fortunately, there’s a way to boost your body’s own defenses against the cold and flu—and it begins by taking care of your gut. Maintaining a healthy, balanced gut microbiome provides people of all ages with surprisingly strong protection against potentially deadly viruses such as cold and flu. It’s only been in recent years that scientists have come to recognize the importance of gut bacteria in modulating the immune system. 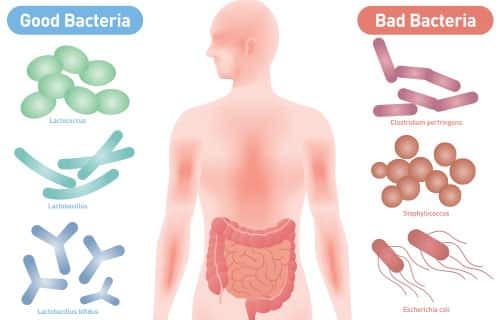 More than 70% of the human immune system resides in the gut. In addition, the intestinal immune system contains more antibody-producing cells than the rest of the body put together.1 As a result, fluid secreted from the digestive system (such as mucus and saliva) is as rich as breast milk in health-supporting and disease-preventing factor. A poorly functioning immune system is at the root of many conditions that aggressively target aging adults. For example, too little immune response makes us vulnerable to the infections that claim the lives of so many older adults. Yet a poorly balanced (overactive) immune system can produce chronic inflammation—contributing to a litany of age-related disorders such as diabetes, cancer, and metabolic syndrome. Probiotics help restore the balance of your gut microbiome, and can strengthen its ability to interact with your immune system in many ways.2 These friendly bacteria stimulate a healthy immune system, boosting populations of cells that seek out and destroy infecting organisms and cancers. While probiotics promote immune balance and strength, scientists have found that a specific blend of unique probiotics is especially effective at blocking flu, cold, and other respiratory viruses. Colds and flu are often treated with medications designed to reduce only the symptoms of these respiratory infections. These drugs can’t activate the body’s own immune response to fend off invading bacteria or viruses. That’s what makes probiotics different. Probiotics provide defense against the common cold and flu by activating the body’s own immune response. Having adequate IgA levels is critical because these antibodies target both viral and bacterial invaders in the upper respiratory tract, deactivating them, and presenting them for destruction by the immune system. This IgA activity prevents cold and flu viruses from gaining a foothold and wreaking havoc on the respiratory tract.2Once a flu virus infects cells, it can then replicate out of control. To counteract this problem, researchers tested a unique oral probiotic blend designed to reduce the risk of respiratory infections by enhancing secretory immunity. Secretory immunity is the production of specialized antibodies such as IgA in the mucous membranes lining the nose and portions of the windpipe and lungs.3 By increasing IgA secretion and breaking the virus replication cycle, we can prevent colds, influenza, and other respiratory infections. The ability of an immune-regulating probiotic cocktail to fight off microbes, including viruses that attack the respiratory tract, appears to be due to stimulation of IgA. Several placebo-controlled, human clinical trials have demonstrated just how powerfully this unique probiotic blend works to prevent infection by cold and flu viruses. Flu and pneumonia kill more than 57,000 Americans each year, and aging adults are more susceptible to colds and flu—which can lead to pneumonia. 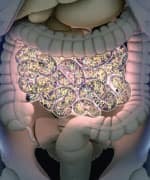 More than 70% of the human immune system is found in the gut. Secretory IgA is a built-in security system present in mucosal membranes that line the nose and upper respiratory tract that can prevent cold and flu viruses from entering our bodies. 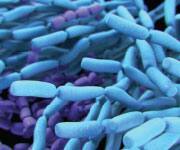 Scientists have shown that six strains of orally ingested probiotic bacteria boost IgA production— enhancing immunity and blocking the virus replication cycle. Human trials show that specific probiotics reduce cold and flu-like infections, an effect that may be attributable in large part to increased IgA secretion. B. lactis (BS 01-LMG P-21384). Researchers classified these symptoms according to flu-like syndromes (those accompanied by fever), influenza-like illnesses, bronchitis-like diseases, upper respiratory tract infections, common cold, and cough without other symptoms. Analysis of the data showed that taking these five strains of probiotics dramatically prevented both colds and flu, while also reducing the symptoms and duration of colds in those who did get sick. There were 16 cases of flu in the placebo group, compared to just 3 in the probiotic group. 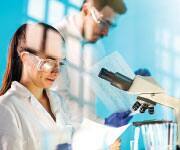 45% increase in concentrations of IgA in subjects’ saliva. These studies provide compelling evidence that these six probiotic strains specifically enhance the body’s immune defense against upper respiratory tract infections—a particular risk for older adults who have reduced immune response. Most of our readers take a probiotic supplement for digestive and other health benefits. For winter months, you may consider switching to an immune-specific probiotic that contains many of the same beneficial bacterial strains, plus additional ones that have shown robust results in recent clinical trials. For aging adults, viral cold or flu infections can cause catastrophic disability and lead to bacterial infections such as pneumonia. Flu and pneumonia kill over 57,000 Americans each year. Robust defenses against respiratory infection require optimal secretory immunity, which depends in large part on antibodies known as IgA. Six specific strains of orally ingested probiotic bacteria have been shown to stimulate the body’s production of IgA, which protects the delicate mucous membranes, and ultimately helps prevent the virus replication cycle. Human studies demonstrate that using these six strains of bacteria can reduce the incidence of colds and flu-like illnesses, an effect largely attributable to enhanced levels of IgA.